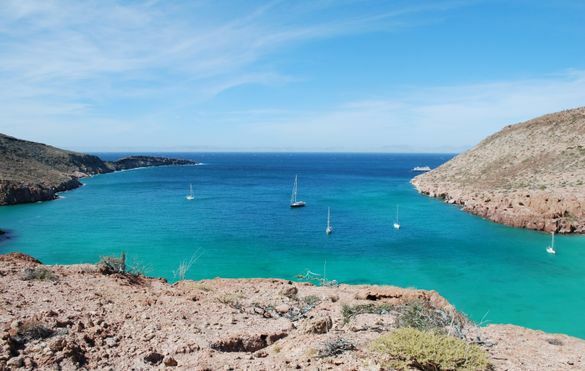 With nearly 40 years’ experience in creating award-winning holidays to Latin America, specialist tour operator Journey Latin America is delighted to unveil two new holidays in Baja California, Mexico. Self-drive Mexico: Discover Baja California and the Sea of Cortez is a 12-day self-drive holiday exploring the Baja California region by car and includes a grey whale-watching expedition as well as an optional blue-whale watching trip. This holiday starts from £1,824pp and includes basic to mid-range accommodation, self-drive hire car, transfers, domestic flights, excursions and most meals. Mexico Expedition cruise: Baja California and the Sea of Cortez is a 13-day expedition cruise holiday for those who love adventure, water sports, walking, landscapes and wildlife. As well as Mexico City clients will visit Isla San Francisco, Bahia Agua Verde, Magdalena Bay, Los Islotes, Isla Partida and Espiritu Santo. From November to mid-January and March, the ship will also visit Bahía de la Paz for whale shark watching. This holiday starts from £4,375pp and includes accommodation on a mid-range expeditionary cruise ship, hotel accommodation in Mexico City, transfers, domestic flights, excursions and most meals. The two new holidays compliment the extensive range of exclusive Baja California holidays already on offer by Journey Latin America. Mexico’s Copper Canyon Railway and Baja coast holiday combines the world-famous railway in Copper Canyon with a stay in Los Cabos, Baja California (9 days from £1,909pp). The guided Active Mexico: Camping and kayaking in Baja California trip circumnavigates the island on a kayaking adventure (11 days from £1,814pp). For further information visit journeylatinamerica.co.uk or call 020 8600 1881.